Microsoft: We Want to Adapt the Xbox One to "What Gamers Want"
Microsoft's Major Nelson claims they listen to feedback "every single day." By now, it's safe to say that Microsoft hasn't had the smoothest of console reveals when it comes to marketing the Xbox One. While the company has taken out the "always-online" DRM requirement and even Kinect being mandatory, it's still facing an uphill battle compared to Sony's PlayStation 4. Fortunately for gamers everywhere, Microsoft isn't done listening to videogame fans just yet. Speaking to Canada.com, Xbox Live director of programming Larry "Major Nelson" Hryb claims they want to adapt the Xbox One to "what gamers want." When we look back and look at what we've done, we want to continue to adapt the system to what gamers want. The team that works on Xbox are gamers themselves. We want to build the system that we use and that we know gamers would enjoy using. Hryb follows that up by saying they're going to "continue to refine the system and make it what the Xbox fans are expecting," and adds that Microsoft is listening to feedback "every single day." In the same interview, Hryb speaks out about Microsoft's entertainment focus with the Xbox One and states, "There's no reason why you can't have an extremely powerful game console that also does entertainment. Why does there have to be an 'and or?' We need to be able to have something that's both...Why not design a system that can handle that as well, and switch between the two." Are you happy with how Microsoft has listened to consumers so far? 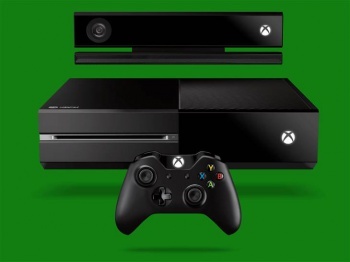 What other changes do you want to see in the future for the Xbox One?